This upcoming November, Californians will head to the polls. 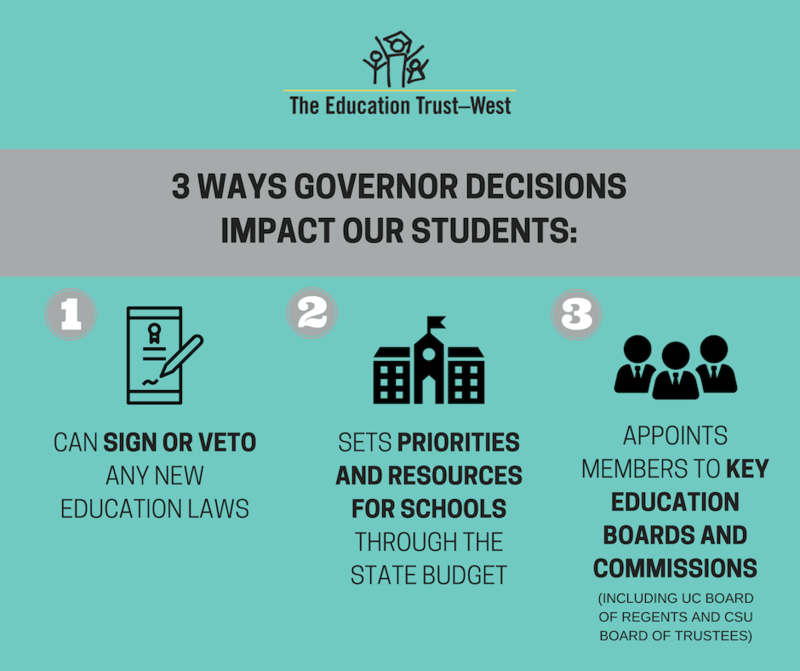 In addition to weighing in on ballot measures and local races, voters will pick our next Governor, Lieutenant Governor, and State Superintendent for Public Instruction – three key roles that impact education decisions, policies, and practices in our state. 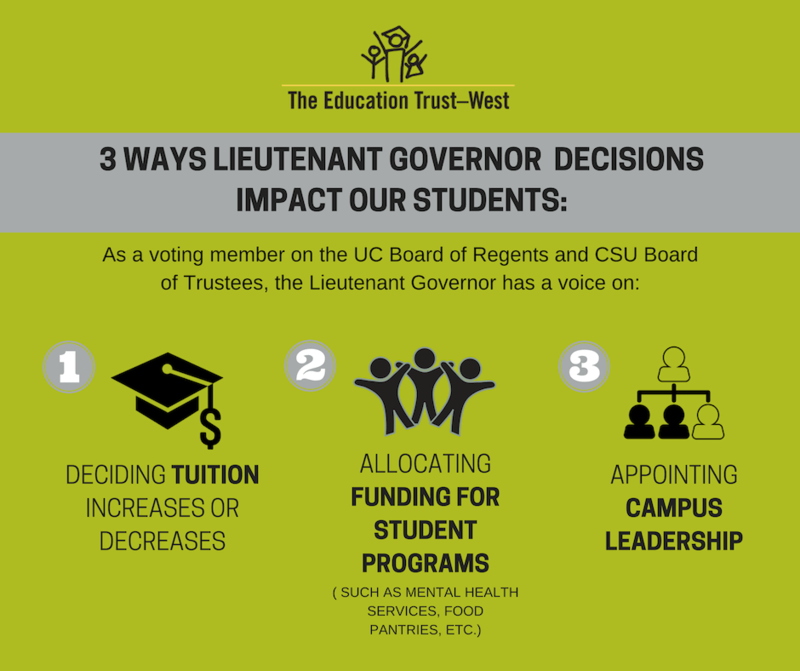 Ed Trust–West asked candidates for these races a series of education equity-related questions, looking at both our K-12 and Higher Education systems. Take a look at their responses below. Click here to see videos of our Community Forums with candidates for State Superintendent of Public Instruction. The last day to register to vote in California is Monday, October 22nd! Register here. The Education Trust–West is recognized as a public charity under Section 501(c)(3) of the Internal Revenue Code. 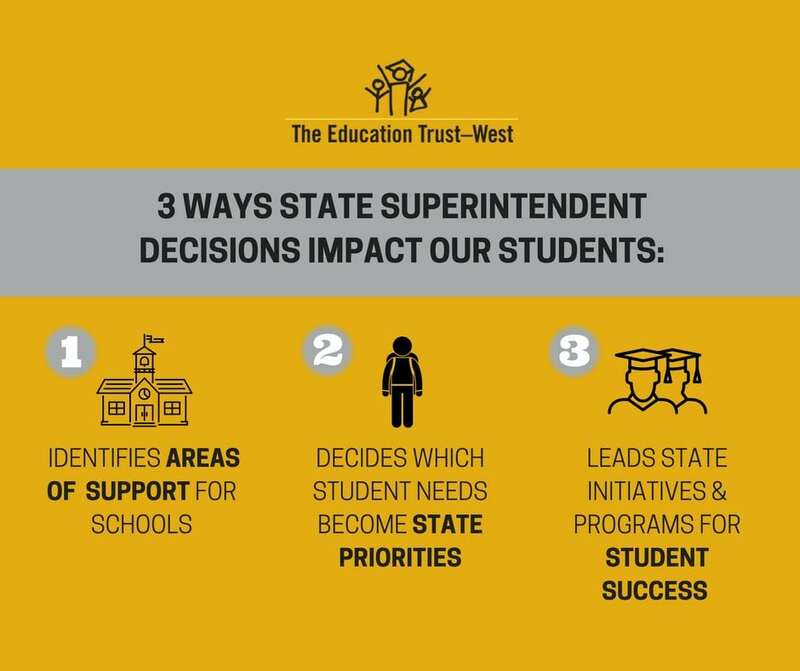 As such, Ed Trust–West does not endorse or oppose any candidate for elected public office and this questionnaire is intended for educational purposes.